Classic presence. 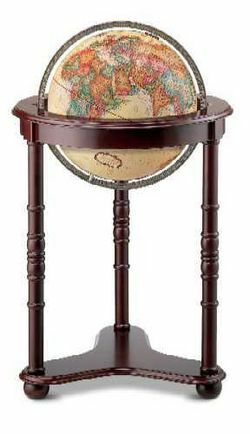 The hardwood base of this floor globe with dark cherry-finish of this classically designed furniture accessory enhances the vibrant colors of our 16" diameter antique ocean globe with metal die-cast meridian. This globe extends a rich traditional feeling into its surroundings.